From 55 contests since 1956, Switzerland is going to take part for the 51st time this year. 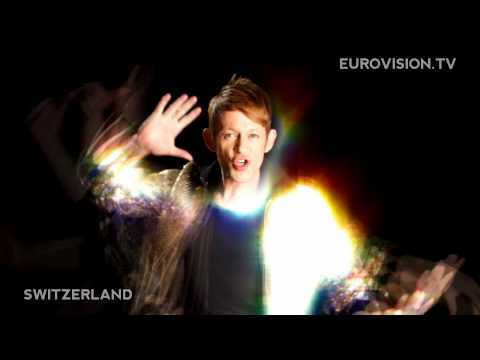 Furthermore Switzerland has won the very first contest with “Refrain” by Lys Assia in 1956 and many years later in 1988 with “Ne partez pas sans moi” by Celine Dion. Since the mid 90’s Switzerland was not very successful and ended up in the lower ranks, beside of Vanilla Ninja with “Cool Vibes” an import from Estonia who came 8th in Kiev in 1995. The responsible people in Switzerland have tried almost all recipes to receive a better result for their country, sending the biggest Swiss names like DJ Bobo and Lovebugs, but singing live in front of such a huge audience demands excellent live singing qualities. In former years it was normal to import stars from other countries like Celine Dion (from Canada) or Vanilla Ninja. This year we can expect something very solid and Swiss. Michael von der Heide has already participated in the German pre selection in 1999 with “Bye bye bar” with a song in German, now he can proof his luck with the French title “Il pleut de l’or” –( It’s raining gold), which sounds a bit sarcastic in the time of recession. The song itself sounds like an Alizée-like French pop song, without a big climax or drama; it’s danceable and easy to listen to. Qualifying for the final is hard job, if “Era stupendo” by Paolo Menguzzi did not make it, how should “Il pleut de l’or” is going to make it?